Here is help and support when you need it-immediate, helpful answers to your daily challenges. Jack Countryman is the founder of JCountryman® gift books, a division of Thomas Nelson, and is the recipient of the Evangelical Christian Publishers Association’s Charlie “Kip” Jordan Lifetime Achievement Award. 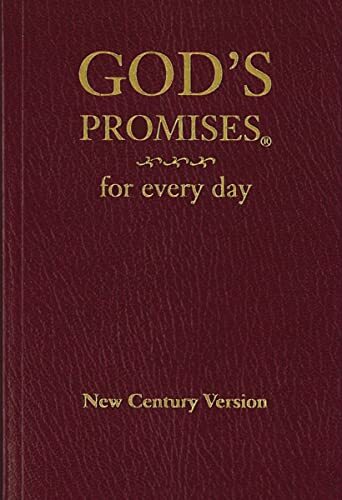 Over the past 30 years, he has developed bestselling gift books such as God’s Promises® for Your Every Need, God’s Promises® for Men, God’s Promises® for Women, God Listens, and Red Letter Words of Jesus. Countryman’s books have sold more than 20 million units.